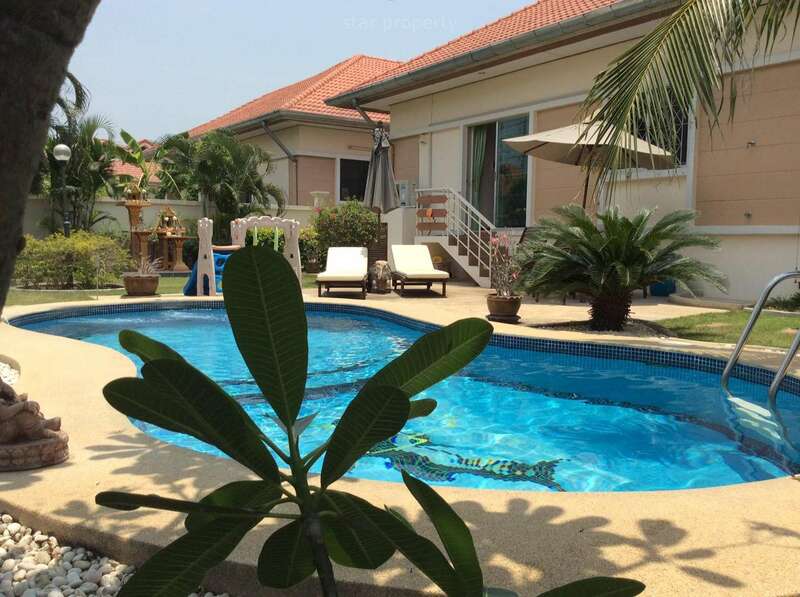 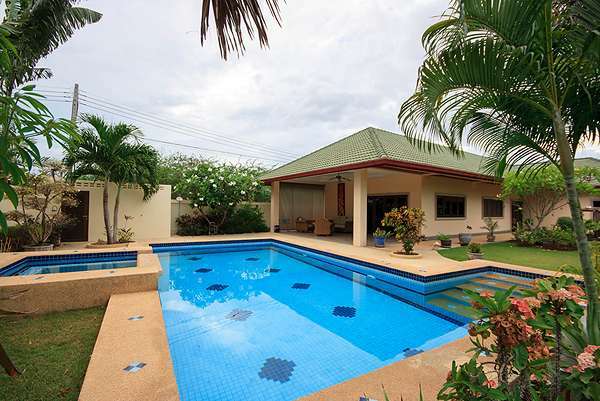 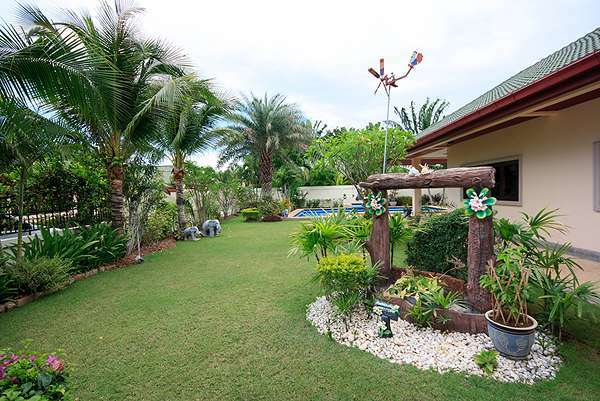 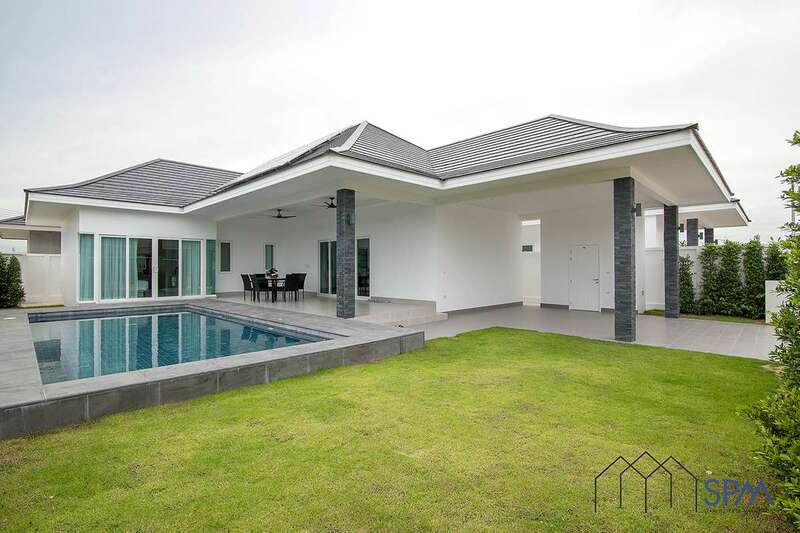 This stunning property located in Coconut Gardens, soi 70, situated in a quiet area just a few kilometers west of Hua-Hin offers everything you may desire. 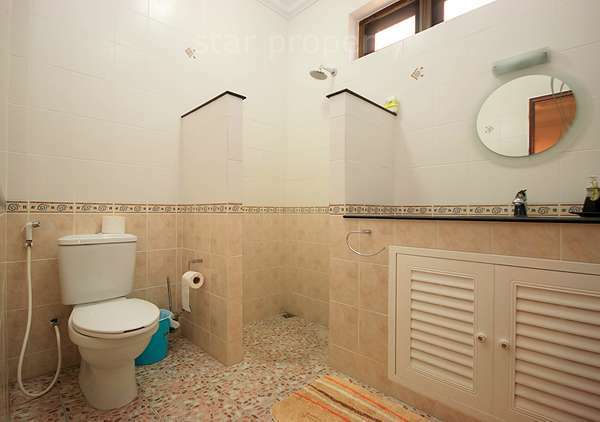 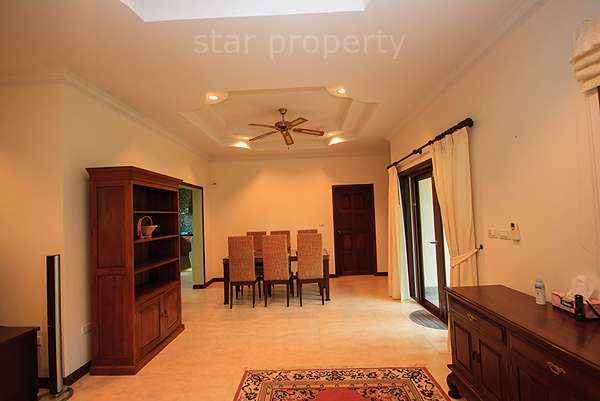 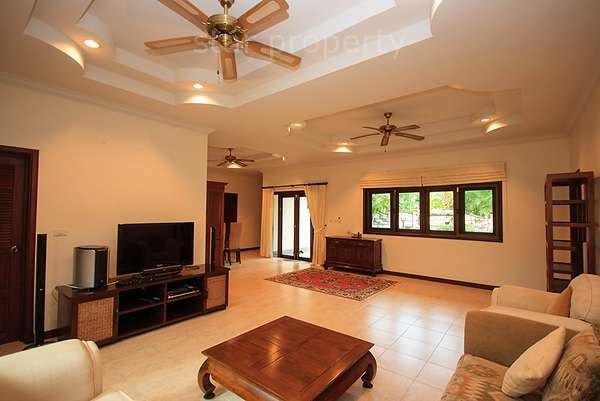 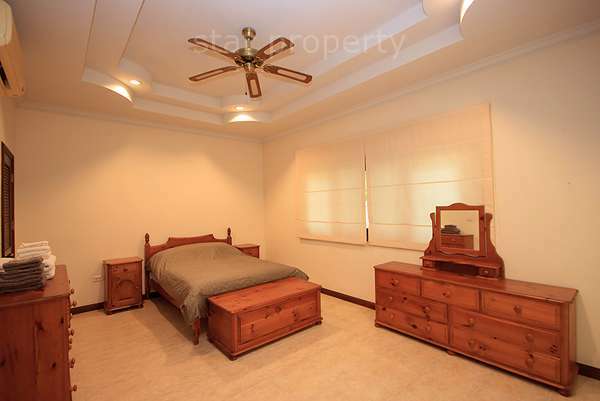 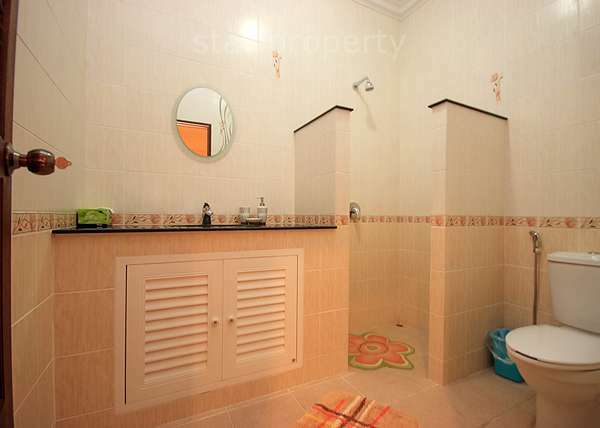 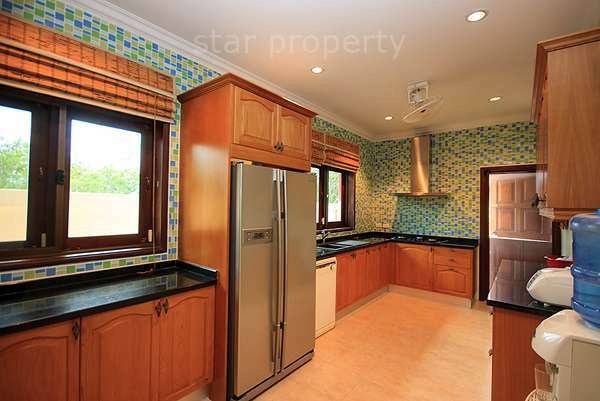 3 bedrooms, 2 ensuite with walk-in wardrobes, 4 bathrooms including 1 outdoor bathroom. 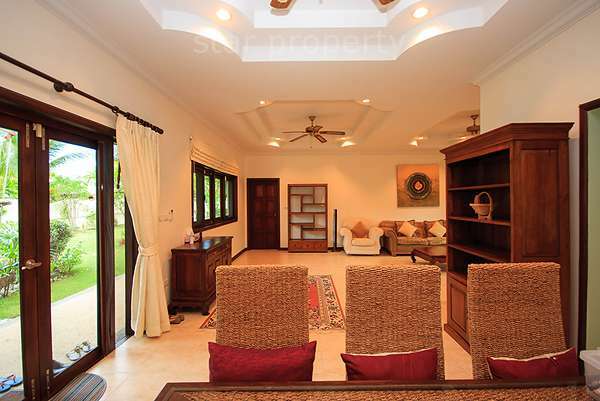 A large open plan living area for relaxing and dining. 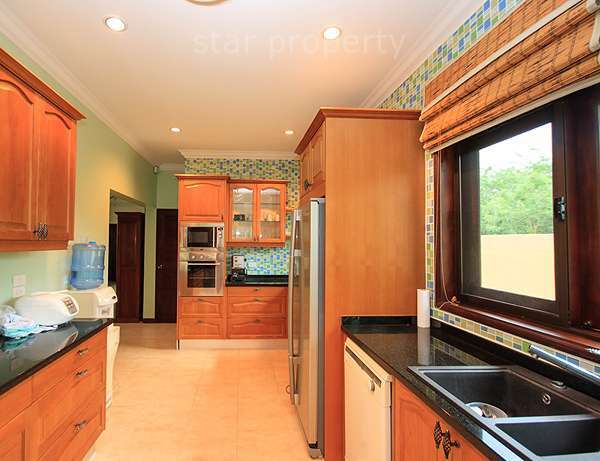 A stunning kitchen, made of solid wood and including all modern conveniences.